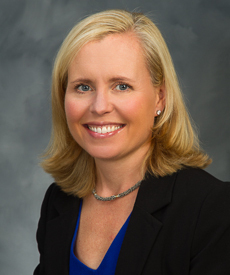 Dr. Allison J. Nied graduated Phi Beta Kappa from Northwestern University in 1992. She returned to the east coast to study medicine at New York University School of Medicine. After receiving her MD in 1996, she began her pediatrics internship and residency at the Mount Sinai Medical Center. She completed her training in 1999 and spent the first eight years of her career at Bronx Lebanon Hospital Center as a practicing physician and Assistant Professor of Pediatrics for the Albert Einstein School of Medicine. She started her practice at Bronx Care Third Avenue, a satellite office which became one of Bronx Lebanon’s busiest outpatient pediatric sites. While there, she was awarded a grant to bring Reach Out and Read, a nationally recognized early literacy program, to her patients. Dr. Nied has been practicing at MKMG since 2007. She is a board-certified pediatrician currently in our Bedford Hills location, conveniently located right off the Saw Mill River Parkway and Route 684. She is welcoming new patients to her practice. Dr Nied’s philosophy has been shaped from both professional experience and raising her own son and daughter. She believes parenthood is a unique experience for each family, influenced by the personalities of the parents and children. As a pediatrician, she tries to provide the information parents need to develop their own road maps through the ups and downs of parenthood. In addition, her goal is to help children learn about health and safety in a way that empowers them to live healthy lifestyles. In her free time, Dr. Nied enjoys spending time with her family, practicing yoga, skiing, hiking, reading and traveling. She loves pediatrics and feels honored to practice in her own community.